Interesting in the battle of super-slim smartphones in this year of April. 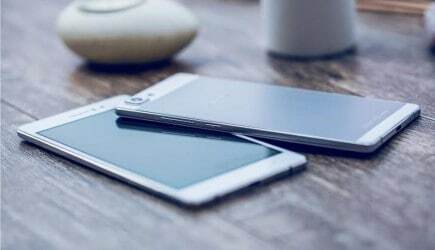 Let’s look at 5 best thinnest and lightest smartphones on the world! Vivo X5 Max was introduced on December 10th 2014 with the price at Rs. 29,000. It was a holder of the thinnest phone on the world until now which is only 4.75mm thick. 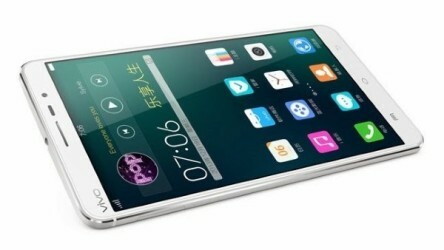 Vivo X5 Max has a 5.5-inch super AMOLED display screen. The handset is dual SIM (one slot for a Micro-SIM card and another one for a nano-SIM). The super-thinnest smartphone is also 4G LTE-capable. ViVo X5 offers 64-bit Qualcomm Snapdragon 615 10-core processor with a clocking speed of 1.7 GHz. It packed with 2GB of RAM and 16GB ROM (can be expanded to 128GB through microSD card). In term of photography, the Vivo X5 Max carries a set of 5MP front-facing camera and a 13MP back camera build with a Sony IMX214 sensor.